Permanently installed in Milton, Delaware at Dogfish Head Craft Brewery headquarters. 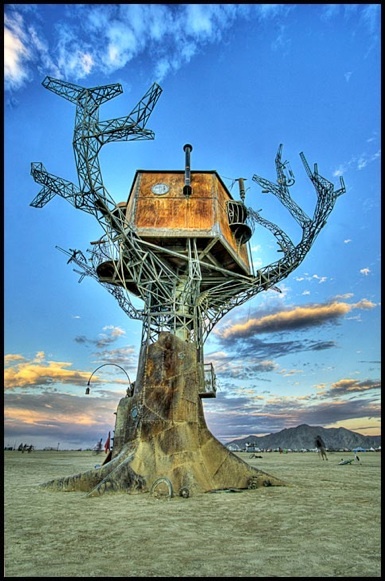 The Steampunk Tree House is representative of a mutually beneficial relationship between people and nature: humans living in harmony with the planet and its natural elements. The House component itself is built of recycled wood, styled after the Victorian age of architecture, H.G. Wells, and Jules Verne, wedded with the organic elements of nature.